I still have all the love letters that I’ve ever received in my entire life all in a shoe box under my bed. I reread them and sift through them from time to time to remind myself of the different loves that I’ve had in the past. They’re not exactly pick-me-ups on a gloomy day or tokens from the passionate loves I’ve once had to brag about to others. They’ve become parts of my memories and myself, that I would never have the heart to part with them. Some of them are actually too painful to read again. That’s how much I can still feel them. I can feel the connection that the letter brings from the writer onto me. It’s not just a piece of paper with jumbled up words, and it most certainly isn’t something that only triggers a memory. As I unfold each crease and read each letter I can feel the writer with each curved word that breathes the life into each sentence. I can still smell the cologne that rubbed off on the pages of letters he once wrote to write to me in a hurry, telling me not to worry and he’ll come back home soon. I can see and touch the crinkles of the dried spots with smudged letters with words I can no longer make out from once was wet tears of his and mine because we could not be together. These letters aren’t mere letters, but they breathe and live the love and youth I once shared with someone that was close to heart. I still like love letters. 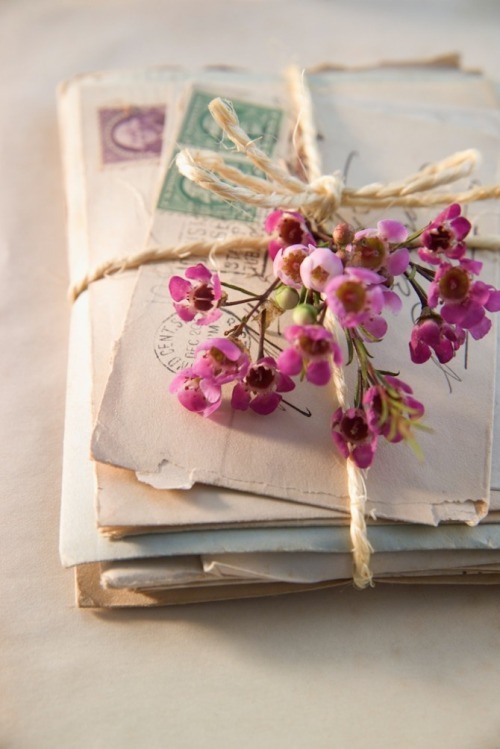 I would choose to pick a love letter over anything, even today. E-mails and texting doesn’t do anything for me. I’m a little bit traditional when it comes to sappy love tales and love letters are always going to be key into entering my heart. I don’t know why I find it so endearing, but to feel that sincerity and passion along with the time to write it down, makes it seem all so true. I love this. To much has been changed in this world to make things “easier” or “faster” that it has taken some of the romance right out of things. A text is easy, heck even a phone call is easy, but taking the time to write a letter, get a stamp, put it in the mail, open it, and write back…. it considered to be a waste of time. But it really goes to show our societies take on love. It’s more about the instant gratification then the work it takes to build something wonderful. You might like my new post. It’s about how to meet guys NOT on social media. I’m a pretty goofy person so it in fact is pretty goofy. I’ll go check it out now! 🙂 Thanks!